You’ve all heard that once Thanksgiving comes around, you might as well hunker down and wait until after New Year’s to start house hunting again. • lower likelihood of being outbid. Though there are fewer sellers during the off season, those who are active tend to be highly, highly motivated. Sellers who are willing to clear the whole family out of the house when everyone else is having warm fuzzy holiday gatherings are motivated to get their homes sold – and ready to entertain your offer to make that happen. Even some banks and asset managers handling short sales and foreclosures may have above-average motivation to move properties off their books and get transactions closed before the year end. Don’t expect to score a mansion for pennies, but you might get you slightly more consideration, responsiveness and speed than in a distressed transaction at any other time of year. You’d be amazed at how many buyers and sellers find their financial plans – and cash cushions – derailed by taking themselves out of the house hunting mindset. Overspending is easy to do. 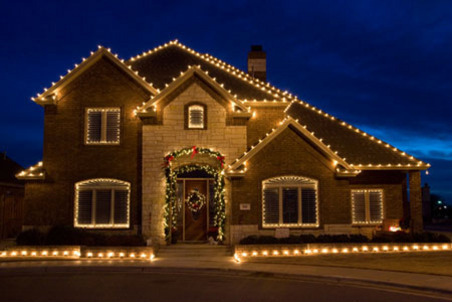 If you pass your holiday season focused on Open Houses and showings, versus how to find the bow big enough to stick atop your wife’s new car, you’ll minimize the likelihood of having to press pause on your real estate plans while you recoup from your hemorrhage of holiday funds. Buyers rely on inspections and disclosures to surface the hidden defects and property issues. But if you’ve ever read a property inspection report, you know they come with a laundry list of caveats and exceptions, line items where the inspector simply can’t make a call or vouch for a feature, because they could not see the feature in action during the time they were on site. Off-season house hunters have the unique advantage of being able to see the roof, drainage systems, slopes and basements of a property performing under the winter weather conditions. If ‘your’ target property has a roof leak, you’ll know it, if you view it at this time of year – and that allows you and the seller to negotiate a fix or a credit before you lock in your price and terms. The off-season is a great time to buy, but don’t expect to score a mansion for pennies. Contact me for real advice on what to expect in the current market. You may find you’ll get more consideration, responsiveness, speed, and maybe a better deal than shopping any other time of year. Ready for a deal? Contact me today!